Has Google applied a penalty to your web site? Have you noticed a sharp decrease in Google traffic? Has your site been a victim of Negative SEO practices? Google penalties can result in the drop of rankings for every page of a site, for a specific keyword, or for a specific page. Any drop in rankings brings with it a major drop in traffic. If you have received an algorithmic or manual penalty from Google or you suspect a penalty has been applied to your site then this service is for you. Are you the victim of Negative SEO? An unscrupulous competitor or disgruntled customer or employee may take out a Negative SEO campaign against your web site which would bombard your site with incoming links from very low or negative reputation sites. If enough of these links are created it is possible Google will consider these “unnatural links” and therefore penalise your site. Has Black Hat SEO been used on your site? Whether intentional or unintentional, Black Hat SEO techniques that may have once worked before Panda/Penguin are now to be avoided. These problems will need to be removed and cleared up before your penalty is removed. Have you noticed a drop in Google Organic traffic? A sharp downturn in SERPS traffic can be an indicator of a penalty being applied to your site. If you do not have a Google Webmasters/Search account then you may be unaware of any penalty applied to your site. We will set up an account for you and link it to your site. Don’t worry. The penalty is not permanent. We will fix it. Regardless of the reasons the penalty has been applied, we will bring your site into compliance with the Google Webmaster Guidelines. There is no effective automated method for fixing up your site link profile and reputation. The only way this can be done is manually. It is a lot of work over a prolonged period of time – however the results will be worth it. During the process we will work with you to determine the best keywords for your web site, compare these to your competitors and then monitor your site rankings. Unfortunately there is no quick fix. Once all the fixes to meet Google Webmaster Guidelines have been applied it can take some weeks for Google to re-index all of your site. However, during this time, we will continue to monitor incoming links and revise the “disavow” document as required. When the “reconsideration request” has been submitted, Google will need from 4 to 6 weeks to respond. Once their response is received, if it is negative, we will apply the advice Google have provided and once complete, will resubmit a further “reconsideration request”. We will repeat this cycle until the Google Penalty is removed. It’s time to get your site back on track. Guaranteed. Whether your site is already penalised or you would like a complete detox of your site to avoid future problems, our Site Detox and Penalty Removal is the perfect solution to restore and protect your organic web traffic. If you got this message in your Google Webmaster Tools then you are probably feeling a little distressed right now. Don’t worry, there probably isn’t anything you need to do about it. You can see the full details regarding this issue from Matt Cutts, Google’s own Webspam expert. It is important for a number of reasons why your web site page load speed is as fast as possible. Our previous article “How to speed up your web page load time” explains the importance of the issue. Increasing your web site performance usually involves a number of small changes to your web page. Some of Google’s PageSpeed suggestions are easier to resolve than others. Specifying a character set in the HTTP response headers of your HTML documents allows the browser to begin parsing HTML and executing scripts immediately. Re-run Google PageSpeed and see the warning message vanish! Even with today’s high performance web servers and mega bandwidth broadband to the home that web site page load speed is a massively important issue – yet many webmasters spend little time on the issue. Would you be surprised to hear that 40% of users abandon a site that takes more than 3 seconds to load? Ten years ago people expected pages to load within 30 seconds. Any slower than that and you would start losing users. Time is short and people demand more these days. Your target today has got to be 2 seconds or less. Even looking beyond the user experience you will find that page load time is also a factor for search engine rankings, conversion and perception of your brand. 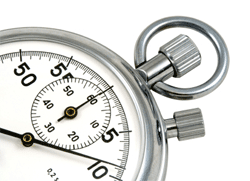 So for many reasons, all important reasons, you need to get your page load time in check. There are a number of tools to help you squeeze the most of your web pages. If you have never optimised your pages before then there are lots of small things you can do increase the speed – you could get 300% with little effort. The Google Developers are always quick to release super useful tools and PageSpeed is no exception, this should be your first port of call, a simply browser plugin and you’ll get a full report on what is slowing your page speed down and tips on fixing the issues. My favourite online page speed tester is provided by Pingdom.com, you can compare your site over time and also against other sites. You get a performance grade and a page load comparison against all other tested websites. Our result: We get a performance grade of 99/100 and our site is faster than 98% of all tested website. Go to Pingdom now and start to increase your page load speeds as part of your regular webmaster tasks.